Allure of the Seas - big on luxury! Your Destination Bar/Bat Mitzvah headquarters is a luxury cruise ship plying the waters of Alaska, the blue Caribbean or the Mediterranean…comfortable cabins, all you can eat and fun activities for the entire family – at a low all-inclusive price. Unpack once and you’re home: no driving, no stress. 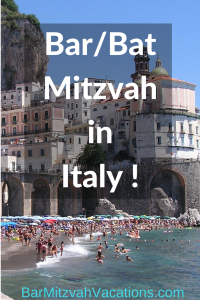 Have your Bar/Bat Mitzvah ceremonies onboard ship with our ‘traveling cantor’, or celebrate in an historic Caribbean synagogue, a small Jewish community temple in Italy, or in the rustic setting of Juneau, Alaska. Oasis of the Seas – one of my favorite ships for families! Royal Caribbean International has ramped up their family appeal with wonderful facilities on Oasis and Allure of the Seas. Some Exclusive Cruise Offerings for 2011-2012, worldwide! A Mediterranean dream cruise from Southampton, UK, aboard Royal Caribbean’s Independence of the Seas. Our unique Adult Bat Mitzvah Cruises to the Caribbean and Bermuda on Royal Caribbean from Tampa or Port Liberty, N.J.! We can reserve sailings for you on many popular cruise lines, in accommodations from basic cabins to luxury suites! 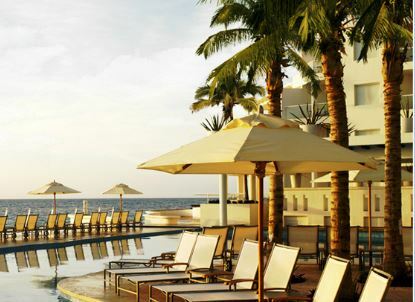 We will also recommend the best shore excursions, restaurants and activities for your family group. 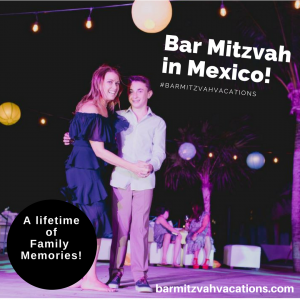 Bar Mitzvah Vacations will also assure that your Bar/Bat Mitzvah ceremonies are planned and executed to the highest standard.